Creat an account or use an existing account to signup! Login using the email address and password you selected on your first visit. Climatic hazards have served to be a prominent and perpetual risk to societies and individuals throughout our time, and the subsequent vulnerability can galvanise adaptive resource management. The adaptive capacity reflects the ability of a community to act collectively to any vulnerability they face. With a special focus on Bangladesh, the first part of this paper explores the social dynamics of adaptive capacity and how society perceives and responds to climate change – essentially, how society’s response, and consequently their resilience, is mediated by culture. Societal perception largely involves direct personal experiences with climate change in time and space, and the how much cognitive presence the issue has in an individual’s mind over other concerns. When discussing societal or cultural perception in regard to adaptive capacity, it is also worth mentioning that adaptation is highly context-specific whereby socioeconomic factors, local knowledge and social networks are a significant influence in shaping perception and consequently adaptation measures, thus highlighting how the various facets of culture play a key role in the adaptation process. Moreover, sense of place and identity is a vital element of culture – in simple terms, the attachment one experiences around their settlement, and how place is a fundamental component in an individual’s or community’s identity and therefore their culture. 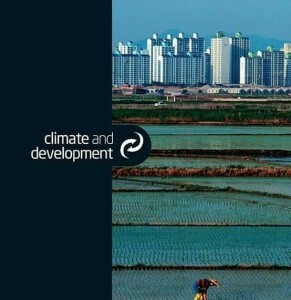 The effect place has on adaptation, as well as the effect climate change has no sense of place, will be explored. In addition, the paper examines the cruciality of the role and engagement of children in adaptive measures, and how them being agents for change is fundamental in building resilient social-ecological systems that cope with change and crisis. Children, being the most vulnerable to the impacts of climate change, are rarely included in adaptation policies and plans. There is a significant lack of this inclusion in Bangladesh even though there are some scattered interventions to address it from government and non-government agencies. The final chapters of this paper will contend that including children’s perspective and integrating their specific needs in a child-centred approach to climate change adaptation can greatly reduce vulnerability and increase community resilience.